We have a long awaited sketch for you this week! 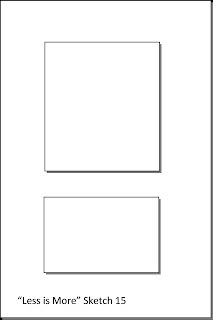 all important 'white space' and keep your design Clean and Simple! additional inspiration on the personal blogs of the DT...so do pay them a visit. and added a Memory Box butterfly and a Mama Elephant sentiment. 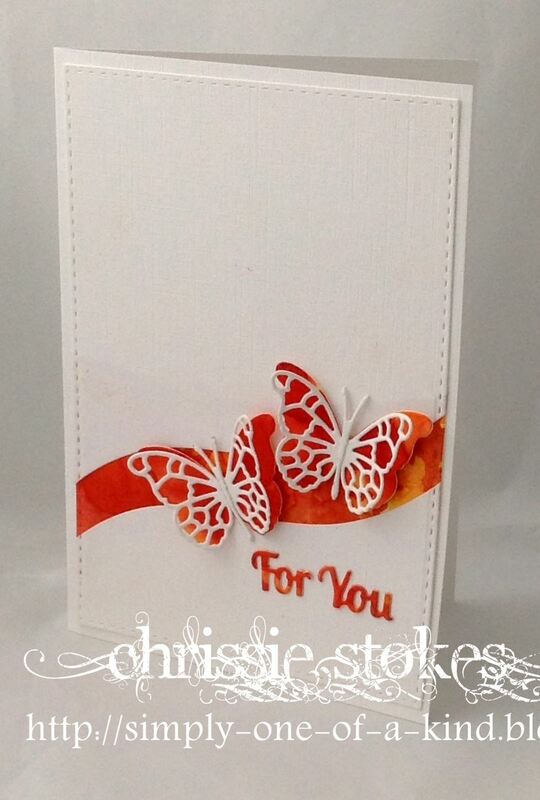 The base layer of the butterfly is cut from white glittery paper. Passions Conflict and Andalus fonts and the flourish is a die cut from MFT. The apertures were cut with Simon Says Stamp stitched, rectangular dies. then twinkled with Winks of Stella and Glossy Accents. over the aperture and accented with some clear Wink of Stella. from the same hot pink cardstock. entrants and leave some kind feedback ... Everyone loves a comment or two! with pride on your blogs and you can find it on the LIM Badges page. Well done everyone and thanks for playing along. 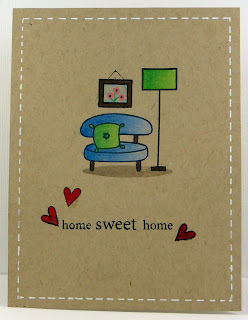 Did you enjoy working with the Home theme last week? Theme Week and we'd like to see some Stencilling on your project. I took a panel of white cardstock and roughly blended three Distress Inks, Mermaid Lagoon, Peacock Feathers and Cracked Pistachio. I laid a stencil over the top, Leaf Swirl by Imagination Crafts and spritzed through with water. 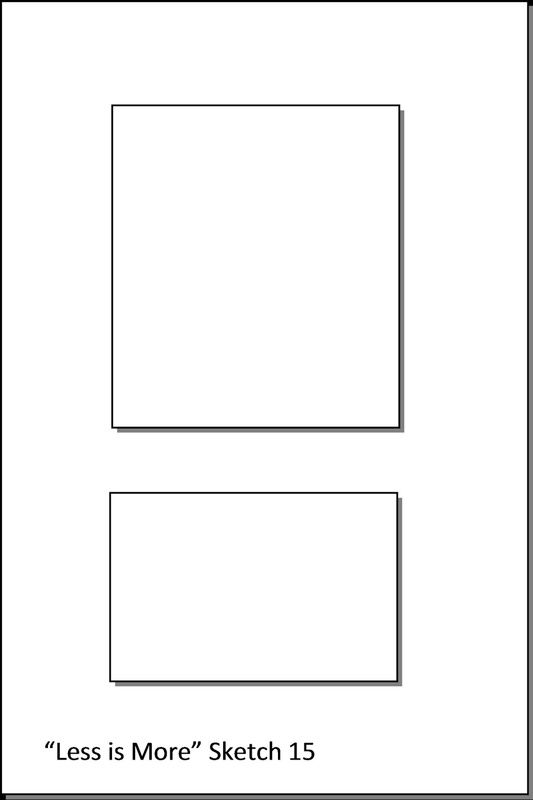 I immediately removed the stencil, left it for approximately thirty seconds and then blotted the panel with a paper towel to remove the water which then removed some of the ink, this is known as the ghosting technique. 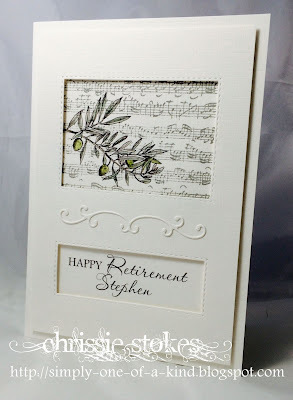 Once dry I stamped the sentiment from Clearly Besotted's Sweet Rose stamp set in Versafine Onyx Black. 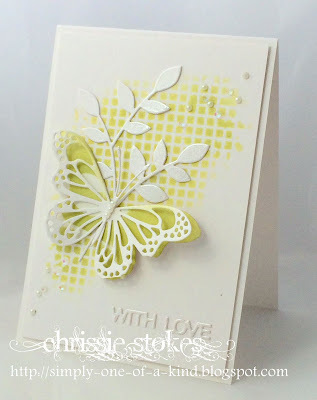 I love this technique which Barbara Gray showed in her Stencil of the Month Club. It uses a swirly stencil from Clarity. I masked all but the central panel and rotated the stencil on the spot, inking with various Distress Inks in blues and greens until no white showed. The sentiment is Stampin' Up and the figure is a Clarity stamp. 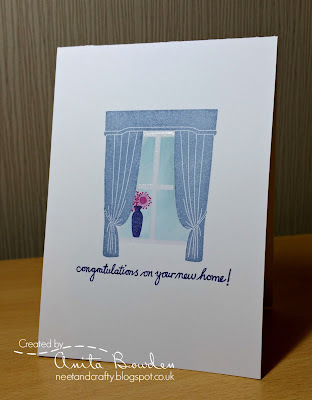 Here I inked through part of a Memory Box stencil in Shabby Shutters ink using a sponge dauber and added a little foliage, sparkled with Crafter's Companion Glitter Spray. We have another super SHOWCASE to bring you this week. The contributions for Week 227 were superb, what a pleasure it was to visit you all. There were a few a little lacking in white space, but such wonderful colours! Without further ado here are our choices. Superb scene, wonderful watercolour and perfect positioning! 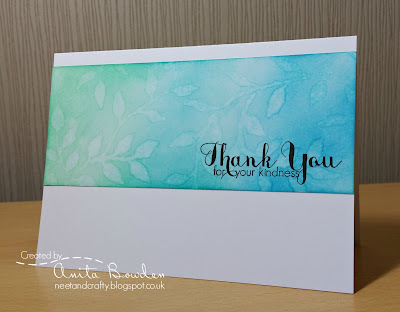 Superb stamping and inking and LOTS of White Space! 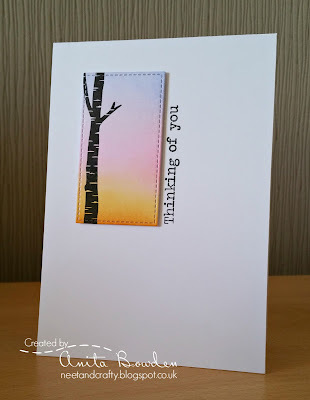 We just had to add one more... Maaike made a superbly CAS version of a sunset picture she found, resisting the urge to cover the whole card with the colours! Please take the showcase badge from the page at the top and we hope everyone will join us tomorrow for our new challenge! fabulousness and inspirational use of those colours. Let's see what you make of this one and where your inspiration takes you. You don't have to use an actual house/home image; maybe what 'home' means to you. so do try to leave some of your designs with areas containing no image or decoration! Lots of masking was involved with this card. 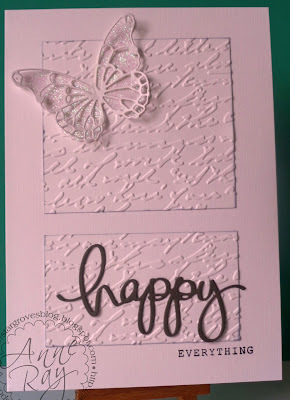 and embossing with clear embossing powder. the window with Distress Ink in Salty Ocean. I then stamped the vase and flowers and the sentiment below. and all the other images are from Clearly Besotted's 'Window Dressing' set. so this can stay a one layer card! 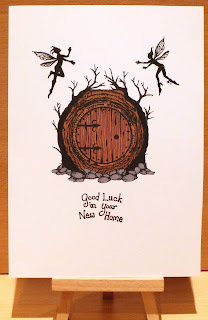 This is from an old Stampin' Up wheel stamp, but I love the images. with a waterbrush. The sentiment is from Little Claire. and for your fellow limettes ... we all love a comment! What fun we had looking at all your two or four legged submissions! 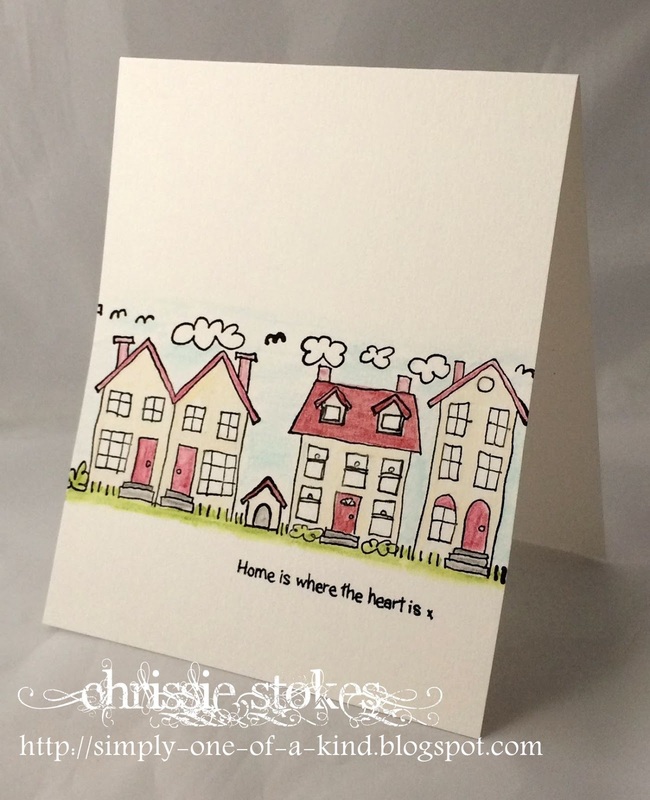 Julia's card is beautifully coloured and is very clean and simple with lots of white space! Rema too, has a fabulous design, with perfect placement and lots of white space! Don't you just love this cool raccoon! An extra layer here but still perfectly CAS! What a super scene Sue created! Do please take the badge from the top and we hope, display with pride! Join us tomorrow for another fun challenge! Morning All, Sarah here with our latest Less is More winner for the month of May! These months certainly zip around quickly. she certainly isn't shy when leaving comments. We are impressed and full of admiration Ankie. we hope you enjoy your prize. which we'd like you to display on your blog with our thanks! as our sponsor this month and there is a £25 voucher up for grabs to use in their super craft store. DO check them out if you've never visited their online store before. Super service and great products! You do not have to make an interpretation of a sunset, although of course you are free to do that, but merely use the colours which this word brings to your mind. We did wonder about adding a sunset picture, but wondered if that would influence your thoughts too much and so decided to leave it to your imaginations. Having looked at sunset pictures on the internet, there are lots of colours to choose from, but remember to keep your design Clean and Simple with lots of White Space. Aqua tint inks were dropped onto a piece of card and then spritzed with water to make them run into each other. When dry, part of the card was used to show through the die-cut slash in the front panel and the rest for the Spellbinders sentiment and the base layers of the Memory Box butterflies. Other dies are from Simon Says Stamp. I've gone with a sunset-type coloured skyline although I'm no artist! 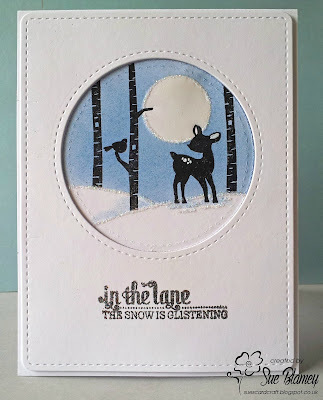 I blended Distress inks in Shaded Lilac, Spun Sugar, Picked Raspberry and Spiced Marmalade then stamped the tree from Clearly Besotted's Birch Trees set in Versafine Onyx Black ink. I die cut a panel from this using an MFT Die-namics Stitched Rectangle. 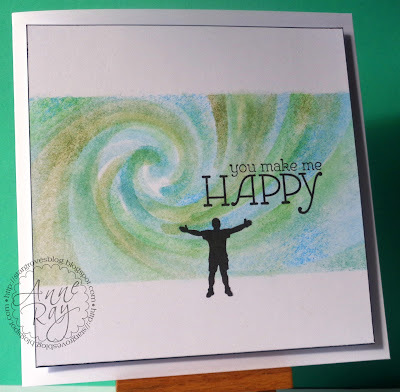 I mounted this on 3D foam with the sentiment from the same set stamped vertically alongside it. 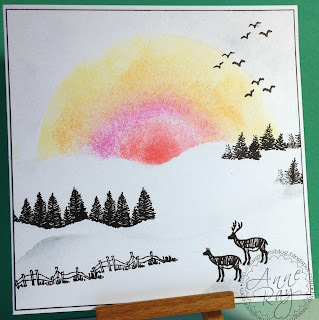 I have used Distress Inks to get a wintry look to my landscape: Barn Door, Picked Raspberry, Spiced Marmalade and Squeezed Lemonade. Sounds yummy doesn't it! 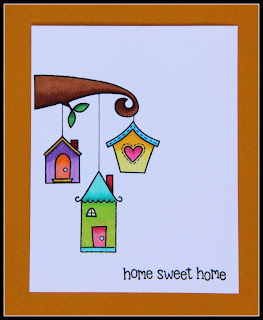 The stamps are from several of Jenny Mayes' Hobby Art Scene-Its. As always, please visit the DTs personal blogs where there are inevitably more examples to give you extra inspiration... and they like comments too! It was interesting to see all the different ways METAL was added to your submissions for Week 225. Choosing a the ShowCASed items was fun... thank you everyone who took part! 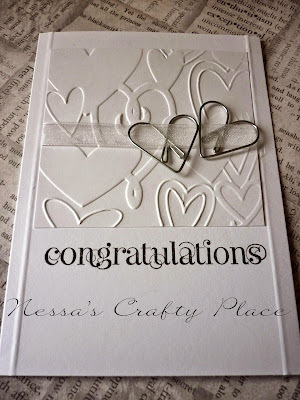 The heart shaped paper clips are the perfect touch for this terrific WOW wedding card. Karen added just touch of metal with the two eyelets, but what a fabulous CAS design! 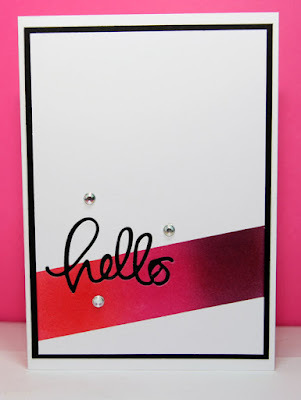 Heather's design is perfect for this showy metal embellishment. Ladies, please take your ShowCASe badge from the page at the top of the blog, which we hope you will display with pride. 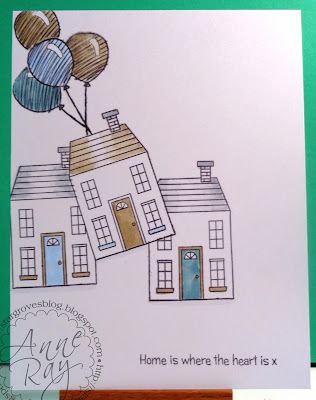 Tomorrow is the start of another Colour challenge, so do join us then!